‘Jack and the Cuckoo-Clock Heart’ tells the story of Jack, a boy who is born on the coldest day of the year. 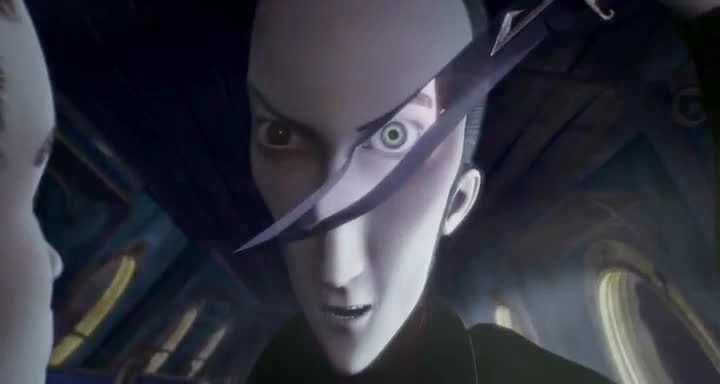 Due to this, Jack has a heart made of ice, one that is quickly replaced by a Cuckoo-Clock to save his life. Jack has three rules he must follow to survive: Never touch the hands of his clock, never get angry and never fall in love. But as Jack finally ventures into the wider world will he be able to keep to these rules, particularly to the third. 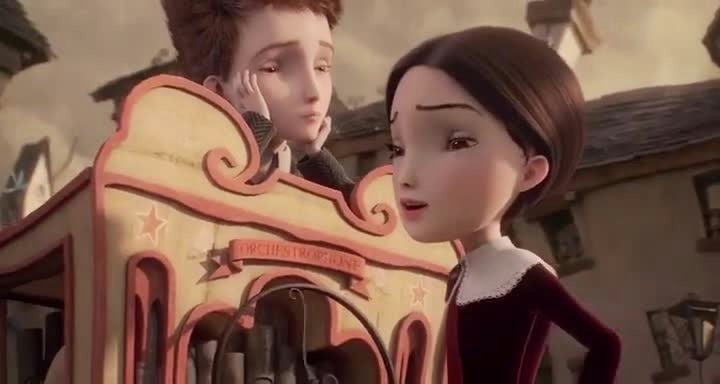 So ‘Jack and the Cuckoo-Clock Heart’ is a very European film. It’s a very French film to be precise. Every scene is filled with a certain sense of theatrical whimsy. How much you like this film will very much depend on your tolerance level for this kind of…well French-ness. I don’t usually watch films like this; they’re not often my cup of tea. So did I like ‘Jack and the Cuckoo-Clock Heart’? Yes and no, mostly yes on average. Distinct, that is the main word I would use to describe this film. This film exists in a very flooded genre, yet it still manages to stand out. 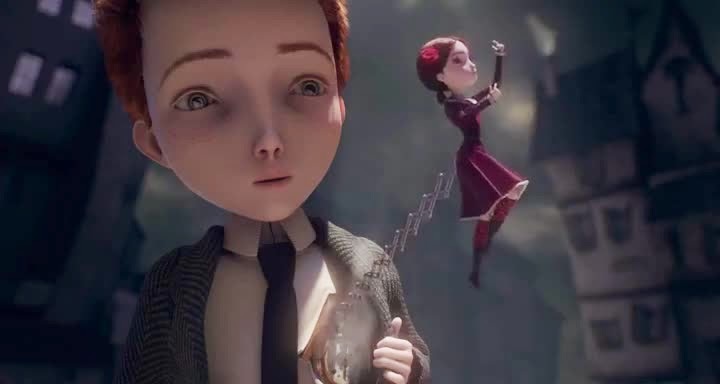 Both visually and in terms of the story telling ‘Jack and the Cuckoo-Clock Heart’ feels fresh and interesting. I could easily imagine this film being somebody’s favourite film, so personal an experience it is. The animation and production design are simplistic at times but never unimaginative. Many of the shots perfectly capture the emotions the film is trying to share with the audience. This is unusual to see and is enough reason to recommend this film alone. The script is very good overall. The characters are likeable, which is the most important thing. That being said the script has a tendency to over indulge. A cameo from Jack the Ripper seems particularly odd and doesn’t add anything to the script, aside from a musical number. This will be the sink or swim point for if you like this film or not, the music. The soundtrack is by Dionysus, a French rock band. Despite being a rock band the soundtrack covers a variety of different genres. In addition to instrumental music, the band also composed a variety of songs, making ‘Jack and the Cuckoo-Clock Heart’ more of a rock opera than anything else. I quite liked the soundtrack but found it at odds somewhat with the visual style and direction of the film. It feels at times as if the film and soundtrack were developed separately and later combined. Despite generally liking the soundtrack myself I could see how it could easily be hated by others. If you don’t like, or can’t at least tolerate, the musical stylings of Dionysus, you won’t like this film. So would I recommend ‘Jack and the Cuckoo-Clock Heart’? Yes but with a few caveats. Firstly, this film isn’t really for children, despite the style of it. 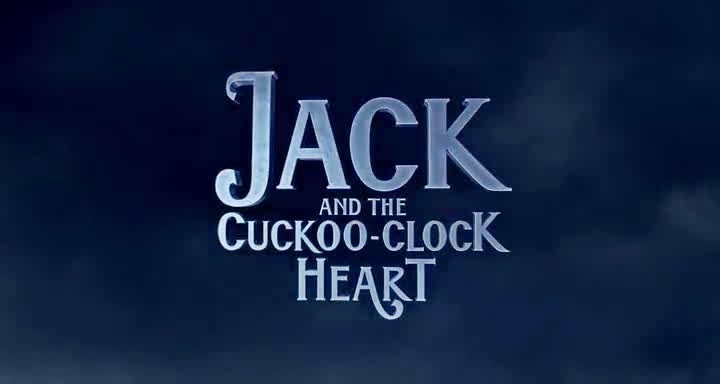 Although only featuring a few scenes that I would outright say were too adult for children, such as an eye gouging, ‘Jack and the Cuckoo-Clock Heart’ simply deals with themes that I think would go over most kids heads. Secondly I can’t overstate how much of an impact Dionysus has on this film. Their music permeates every part of this movie and if you’re not down with that, you’re going to have a bad time. Overall however, ‘Jack and the Cuckoo-Clock Heart’ is interesting. Interesting is always worth a watch, even if it ends up winding you up.